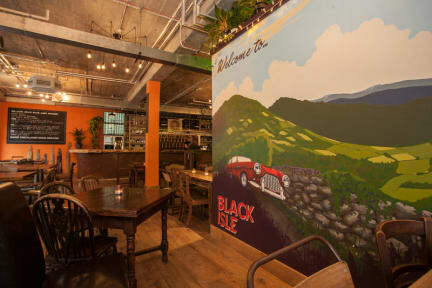 Black Isle Hostel was a fantastic find in Inverness. The staff was incredibly helpful with check-in and with helping us figure out our parking situation, and the facilities were very clean and modern. We went during the off-season and I believe that there may have been only 1 or 2 other guests, so it felt like we had the whole floor to ourselves. 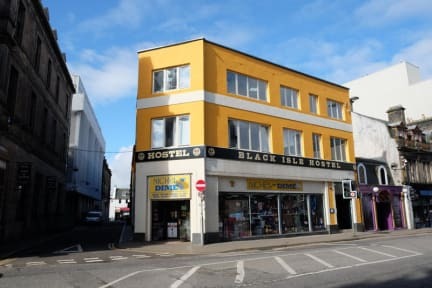 It's well situated in the city and I would 100% recommend this Hostel to future travelers. Purpose built facility which is clean warm and well maintained. Limited kitchen facilities but of course it is in the town centre so there are plenty places to eat. Brand new hostel. They have worked out a system when the guests arriving after a certain hour can check in at their pub and they get a voucher for 1 meal there. We stayed in a 4-bed room. During the night either some guests were noisy or the walls thin - though this is usual for a Saturday night in a hostel. Kitchen facilities looked fairly small but we didn't use them. Location convenient for walks by the river Ness & very close to the bus station! Staff helpful as well. Awesome hostel. One of the best ones I stayed in. The staff is really nice and the facilities are great. The rooms and bathrooms are really spacious. Just great. Everybody very pleasant and helpful. Facilities good and very clean. I stayed winter midweek so not many guests. I hope that a way can be found to keep the hostel open during the winter for hill walking visitors like myself. Very quiet hostel. May have been because it’s now season. The staff was friendly. The showers were not that great. Lots of room in the stalls but you had to push a button every 15 seconds to turn the water back on. It think it may have added time to my showers. Lots of things to see in walking distance. And I liked that the hostel was also a part of a brewery so that was nice. I’d stay there again if I came back to Inverness. My stay was pretty good. Service was good but could improve as at one point a "be back in five minutes" in the front desk became over half an hour and I needed to get my luggage back from storage, but other than that the staff was very nice. The atmosphere was good considering the hostel was kind of empty at the time, but a little music in reception wouldn't hurt. The bathrooms were very clean but a little too cold for my taste.